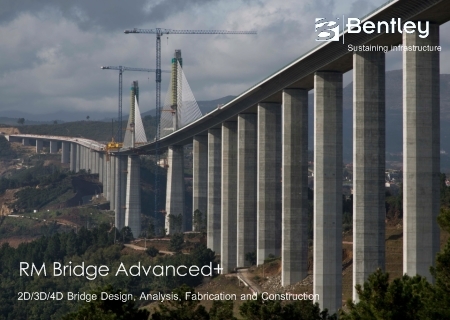 Bentley Systems Incorporated, the leading company dedicated to providing comprehensive software solutions for sustaining infrastructure, has released an update to Bentley RM Bridge Advanced V8i 08.11, is comprehensive 2D/3D/4D software used by bridge engineers for bridges of all types, materials, and construction methods. A fully integrated modeling, analysis, and design process and rapid results processing bring economy to bridge design. RM Bridge Advanced produces deliverables derived directly from the models being analyzed – improving bridge constructability and ensuring smooth project delivery.